Sen. Cory Booker says President Donald Trump’s recent criticisms don’t bother him, and he welcomes a discussion of his record as the former mayor of Newark and his work in the Senate. The New Jersey Democrat is in Iowa, the lead-off presidential caucus state, as he weighs running for president in 2020. 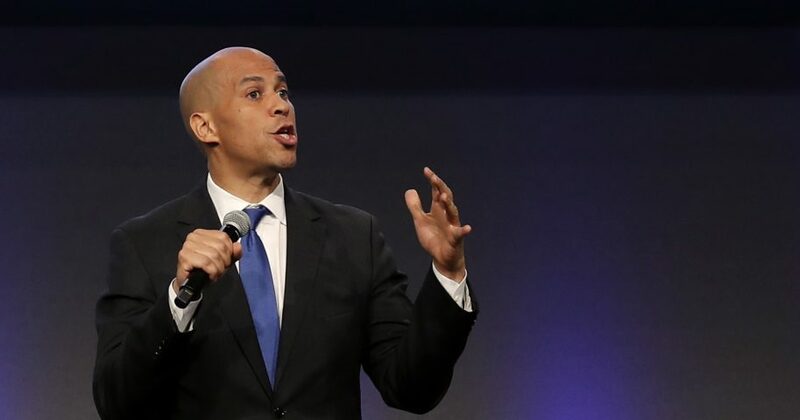 Trump has criticized Booker’s performance as Newark mayor, saying he ran the city “into the ground.” Trump also has mocked Booker’s tack on the Judiciary Committee during Brett Kavanaugh’s confirmation hearings for the Supreme Court. Do you think Cory Booker would make a good presidential candidate? Sen. Cory Booker is urging Democrats disappointed by Brett Kavanaugh’s confirmation to the Supreme Court to turn their despair into action, a political message that blends with the New Jersey Democrat’s national debut as a presidential prospect. Booker raced from Saturday’s Senate vote on Kavanaugh to the Iowa Democratic Party’s top fall fundraiser to try to make a positive impression on roughly 1,000 party activists gathered in Des Moines. The former Newark mayor says he sees the pain and hurt but still wants to remind fellow Democrats that they need to stay faithful. Iowa’s caucuses are traditionally the first voting for presidential candidates seeking their party’s nomination. Booker may be the biggest name yet in Democratic politics to visit the state ahead of the 2020 presidential campaign. New Jersey Sen. Cory Booker is making his national debut as a Democratic presidential prospect by headlining the Iowa Democratic Party’s marquee fall fundraiser. Booker’s scheduled speech to more than 1,000 of Iowa’s most influential party activists is not just a seminal moment for the 49-year-old former mayor of Newark. He is also the party’s first bigger name to make his foray in the first-in-the-nation caucus state, where so far lesser-known, would-be candidates have been working to get a head start.